Five years ago, the Society of Chief Librarians and Share the Vision agreed the Six Steps promise, our basic framework for the services we provide in public libraries to people who need an alternative way of accessing our services. Unlike many countries around the world, the UK does not have a state funded national library service for blind and partially sighted people and so we rely on charities, external organisations and a sharing of our collective resources and expertise. Six Steps is a very basic framework and there are many library services who are providing much more, but it does provide us with a clear message we can promote to our customers. The six achievable actions were agreed by the SCL Executive in 2011 after a project in the North East of England examined the needs of people with sight loss, to try to determine where we might look to extend our support. They concentrate on providing stock, support to customers in accessing services either in print, online or through physical layouts of buildings. Most important though, they are focused on working with blind and partially sighted people and with the organisations who support them both locally and nationally. Of course, the world does not stand still and there have been rapid changes over the past five years. To reflect major technological changes, different organisational structures and the capacity of our partnership, Six Steps has now been updated and simplified. We are currently in the process of re-launching the promise with new publicity and posters, and a simple leaflet which can be given out to customers. 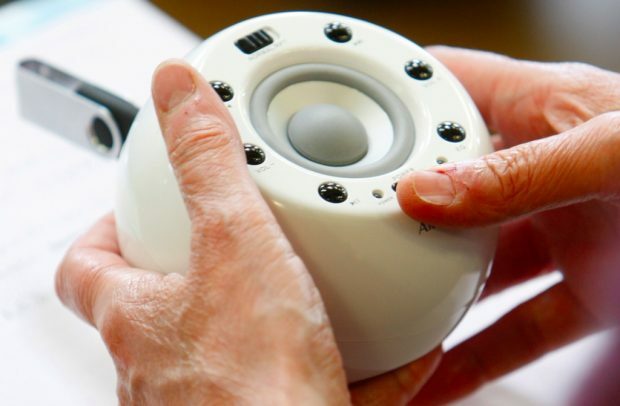 With support from the Arts Council, we are also working on a staff training module which introduces the Promise and provides background information on how to support blind and partially sighted people in public libraries. Over 200 library services across the UK signed up to the Promise in 2011 and we are hoping that we will be able to engage with a similar number over the coming weeks to commit to support the Six Steps. We have already received support from the Scottish Library and Information Council and the Scottish Heads of Service Group who have adopted the Six Steps to be part of their own National strategies. We hope that the word will spread about Six Steps. It does rely on library staff and customers knowing who to ask and where to look for information. Share the Vision, working with its external partners, provides information and resources through the Reading Sight webpage which can help signpost any queries to the right place. We really do encourage every public library service to re-sign the Promise. We ask each service to identify a “Champion” who has a more enhanced knowledge about services for blind or partially sighted people and who can act as a contact for us in each Authority. Over the coming months, Share the Vision and SCL aim to launch the online module and during Make a Noise in Libraries week, a key feature of the Six Steps promise run by the Royal National Institute of Blind People, we’ll be publicising the relaunch of the Promise more widely. Further ahead, we are discussing with RNIB and our other partners how we can improve the awareness of the many ways in which people can now engage with reading if they are not able to access conventional print methods. Technology has opened up many doors but has also provided us with the challenge of getting people online using accessibility software and built in functions. People with sight loss are just that, people. They are no different to the rest of us with the exception that they need our assistance in sourcing reading and information. 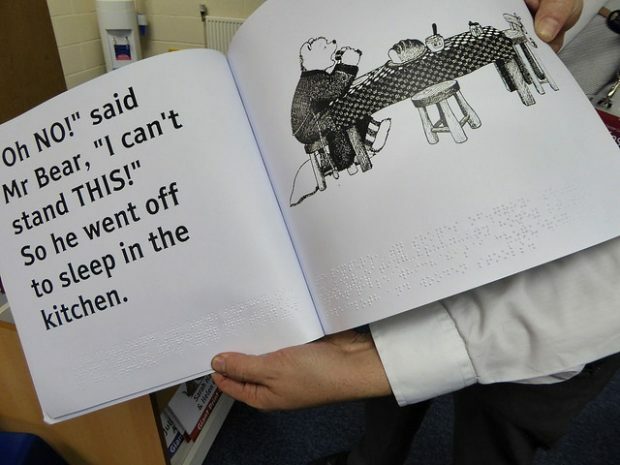 Anyone who has experienced any kind of sight loss within their family or friends networks will know how much it means to be able to continue to communicate through reading or audio. This, more than anything, serves to demonstrate why we need to make sure that we are able to support a group in our community who is growing and who benefits so much from our support.